Are you looking for secure and contemporary student halls? 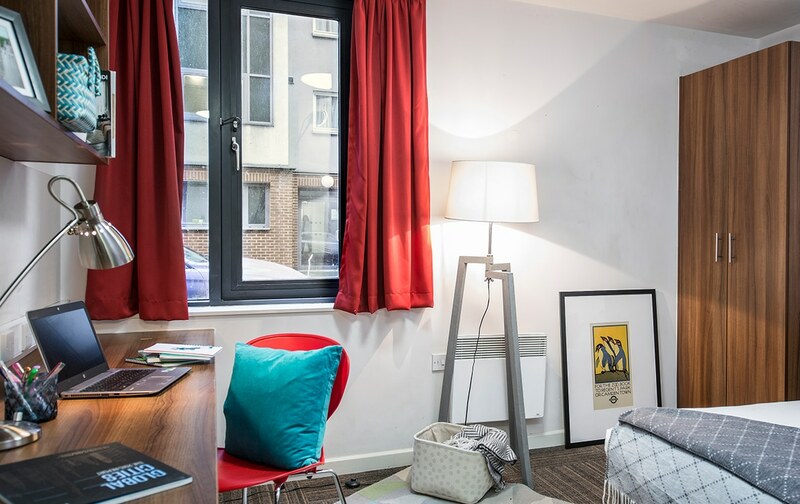 Our Bagot Street accommodation is the place for you; just a short walk from Aston University and BCU or a simple bus ride away from UoB – ideal for when you need to get some real studying done. Fancy exploring the city? Bagot Street is in a prime location, surrounded by a number of attractions, bars, pubs and must-try restaurants – you’ll be spoiled for choice! 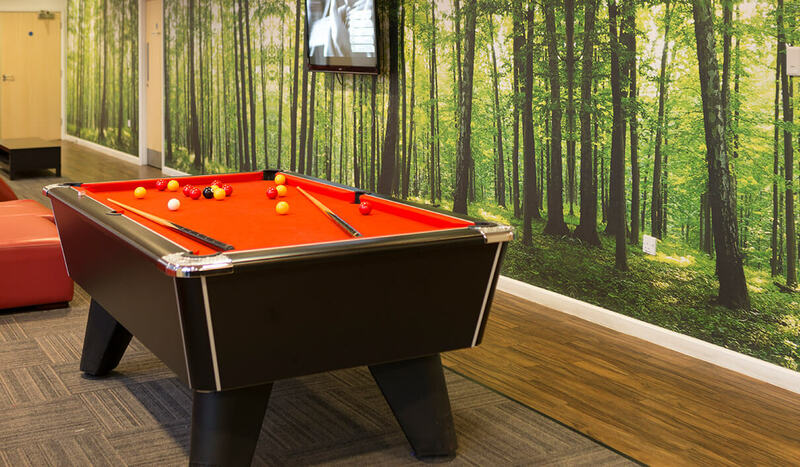 When it comes to staying home, we offer fun social activities to keep you busy during weekends and evenings, while our cinema and games rooms ensure that you and your new friends have plenty of space to relax and unwind. Studying in Birmingham? Find out what's included in our Silver Room packages at Bagot Street. Get all the information you need right here. Study in style in one of the Gold Rooms at Bagot Street village in Birmingham. Find out exactly what's included in our eye-catching packages. Find out why a Platinum Room in our Bagot Street is the ultimate way to study in Birmingham. We explain exactly what you'll get right here. Enjoy ultimate privacy in an all-inclusive en-suite Studio at Bagot Street village in Birmingham. Find out what's included in these self-contained rooms today. Find out why we call them Diamond Rooms at Bagot Street in Birmingham. En-suite bathrooms, double beds and up to 22 metres of space. Book today! What types of accommodation are available in Bagot Street? No matter what your budget is, we have a selection of top-class rooms to suit your student needs. Choose between Silver, Gold and Platinum Rooms and bag yourself a modern, en-suite bedroom, with useful storage shelves (for those many textbooks and ring binders) and desk study area for getting down to work – not to mention a spacious double bed to help you drift off in peace after a long day of studying (or partying!) The kitchen/lounge is where students famously bond with their flatmates, whether that’s over a team-effort Sunday dinner or pre-drinks – so we make sure you’ve got a comfortable, roomy set-up. If you fancy a bit more me-time, try one of our luxury studio apartments and find everything you need in one place. With open-plan living and kitchen areas and en-suite bathroom, you can experience university in ultimate style. Don’t worry though, you’ll still have plenty of opportunity to make friends at our village events. Our accommodation is all-inclusive, so the money you pay covers all the electricity, water, Wi-Fi and broadband costs – that way you can enjoy your independence without the stress! Contents insurance, on-site maintenance and 24-hour security/support are included for your peace of mind, whether you’re doing some last-minute note cramming in the library the night before an exam, spending your student loan on a crazy night out or hitting our FREE on-site gym. As far as we’re concerned, it doesn’t get better than this – find your new home today. Birmingham is famous for its nightlife and music scenes and is well connected with public transport links.